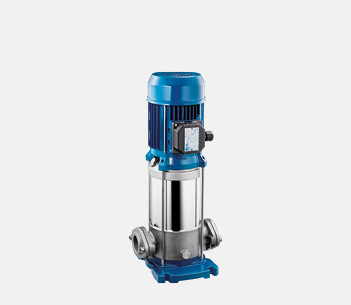 Vertical Multistage centrifugal pumps in ANSI 304 stainless steel. Ideal for non-loaded fluid pumping; pressurisation systems; irrigation; drinking or glycol water; water treatment; food industry; heating and air conditioning; washing systems. These pumps are available with overlapping or in-line deliveries and in threaded or flanged versions.